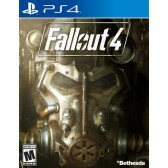 Newegg.com has a Fall Out 4 11% off PS4, Xbox One, PC Sale, PS4 and Xbox One Version or PC Version at $53.39 with Free Shipping. Checkout with Visa Checkout and use Coupon Code: VCOSINGLE15 Expires Today - Visa Checkout is a digital wallet that works with ANY credit card. Tax only in CA, IN, NJ, TN. $60+tax at amazon.